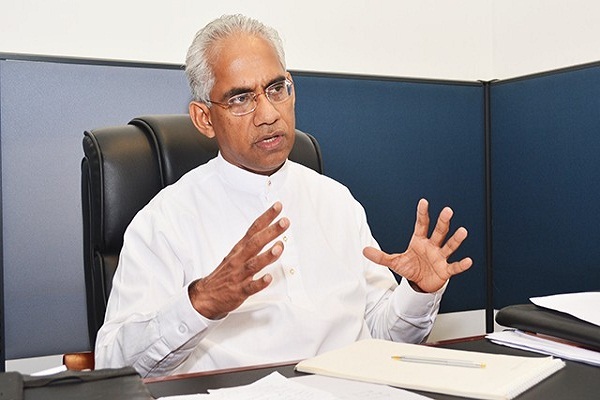 Welcome - Eran Wickramaratne Eran Wickramaratne – Eran Wickramaratne is the Treasurer of the UNP, Deputy Minister of Highways and Investment Promotion. He is running for office from the Colombo District. Was featured in the weekly show with Indi from Yamu.lk.Below is the full interview. 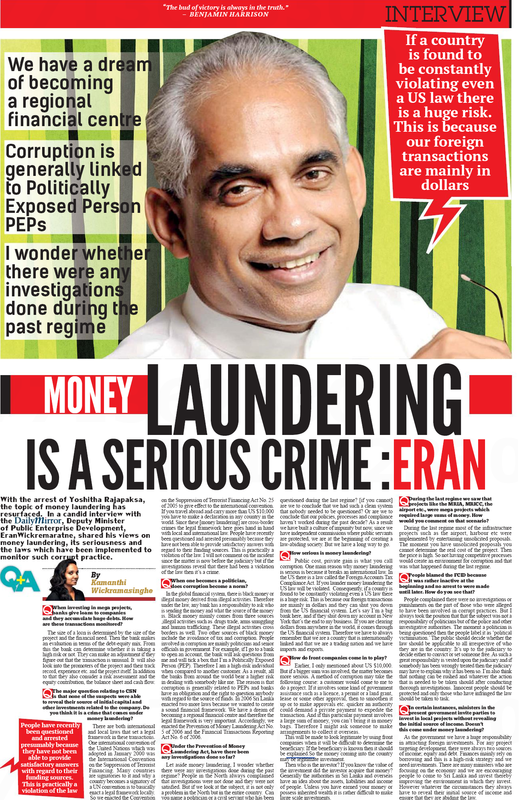 Indi: Hi, I’m here with Eran Wickramaratne, Deputy Minister of some really long sentence that changes everywhere I look it up. He was elected to Parliament with a lot of high hopes. The first thing I’m going to ask him is what have you done to fulfill our wildly unrealistic expectations. We thought everything would be fixed by now. E: These things can’t be fixed overnight, this takes a long time because these problems are old problems. They have a lot of history, lots of stakeholders, and it takes time. But we have started. I: OK, fine, so I don’t mean to be rude, but do we need a Deputy Minister of anything? Have you considered reforming your own Ministry? E: It doesn’t matter what you call yourself. You need people who understand the subject to be working on the project. So I hope I meet that expectation. I: You’re good. I must say you’re good. Ok, so your job at this Ministry is to reform State Owned Businesses, or SOBs. But my question is do these SOBs want to be reformed? For example, you have these powerful interests against reform. If– you try to do anything I think there’s almost 1.3 million working there, they’ll protest; politicians like to staff these enterprises with their own people; and honestly, voters aren’t for privatization in a lot of cases. So what are the forces that are on your side towards change. 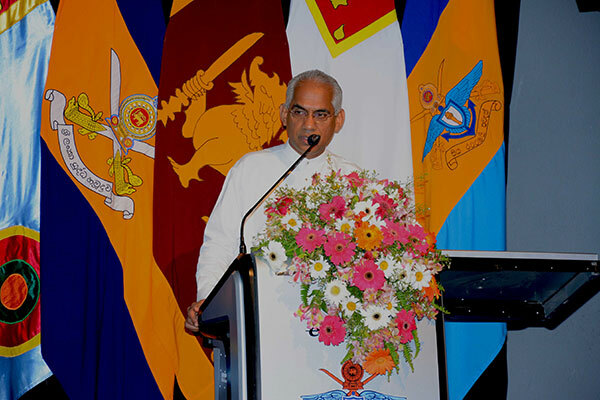 Delivering the keynote address during the inauguration of a Master of Science Degree program bythe Faculty of Graduate Studies at the Ratmalana General Sri John Kotelawala Defense University (KDU) for the academic year 2016,on 18 March, Deputy Minister of State Enterprise Development Eran Wickramaratne stressed that in orderforpublic enterprises to be more profitable, competition needs to be introduced to the sector through public private partnership. 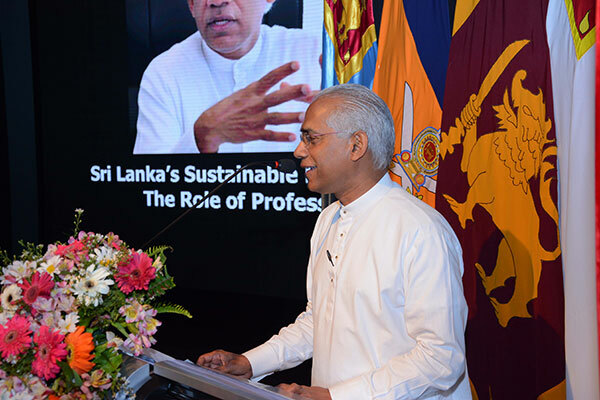 Deputy Minister Wickramaratne made this observation while pointing out the recent failures of some public enterprises to provide continued service to the people. “We have had three blackouts since September 2015. It was a single event that caused in system failure. It is unacceptable to have any kind of blackout in the modern world that we live in. Competition has to be the principal and the driving force in these kinds of spaces, whether it be within public enterprises or across the public enterprise or between the public enterprise and the private sector. 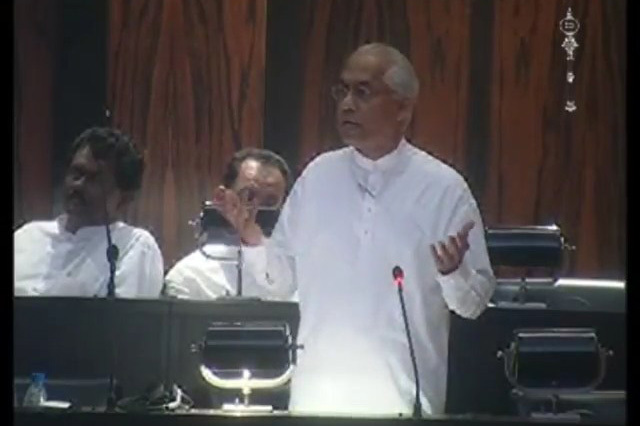 The process of competition has to be subject to effective sector specific regulations,”Wickamarathne charged.